Many users tend to record videos using their iPhones and store them in their iPhone. some of them, nevertheless, don’t have copies (backups) of the videos anywhere else other than the iPhone. In this case, if something (a software or hardware failure) happens toy your iOS device, there is a huge risk of losing all those precious videos. So, it would be very handy for any iPhone users to have a free iPhone video recovery tool. There is no shortage of options to consider when it comes to free video recovery for iPhone. However, only some of those tools can actually deliver what you expect. The purpose of this article is to reveal the most effective free iPhone video recovery tool that serves your exact purpose. 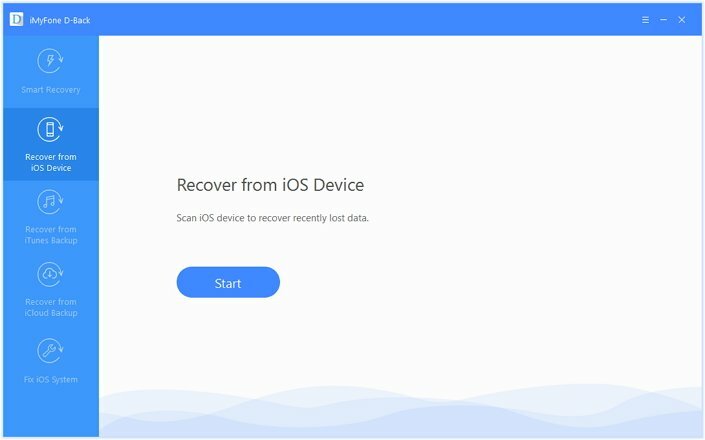 Before we learn about the best free iPhone video recovery tool, here’s what you should know about data recovery on iPhone. When it comes to storing deleted data on iPhones, the data is saved in a specific SQLite database. If you delete a video file or another bundle of data off an iPhone, the respective data will be put into “Unallocated” data category from “Allocated”. In other words, the respective data will not be actually deleted from the phone. Instead, the data bundle will only be reallocated. When a new bundle of data (a file) is saved on your iPhone, the aforesaid “Unallocated” space will be utilized first. The files stored in unallocated (which you deleted) will be overwritten with newly saved files. Using your iPhone after losing data is actually a risk. New data will take up the space in “Unallocated” space and overwrite the files you expect to retrieve. So, when it comes to recovering data from your iPhone, you should be really careful. In other words, you should stop using your iPhone and do not turn it on and off. 1.2 Free Video Recovery Tool for iPhone? Want a free video recovery tool for iPhone? We are sorry to tell you that for now there is no totally free iPhone video recovery software. However, there are some great programs with free trial version, so just give it a try. 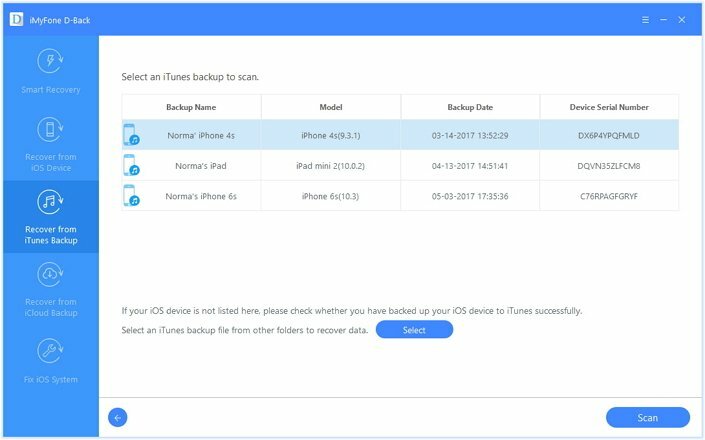 iMyFone D-Back is a practical tool that can recover deleted videos from your iPhone without needing to install anything on the device. 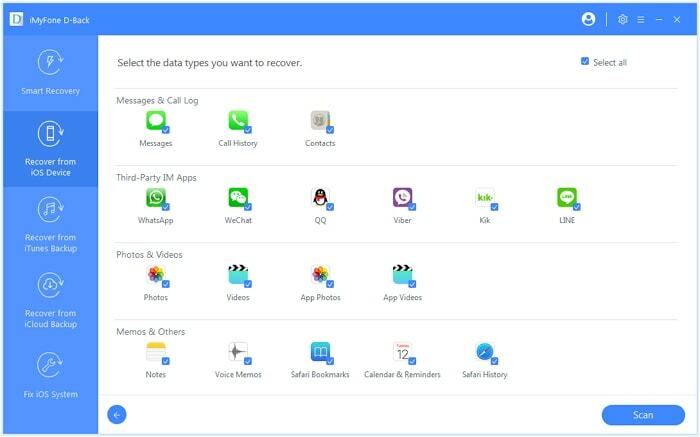 With the assistance of this feature, you will be able to experience more efficiency when recovering deleted data. You don’t need to have an in-depth programming knowledge or smartphone expert if you have iMyFone D-Back. It allows you to recover videos selectively. It offers 4 recovery modes for you to choose. It will not affect the current data on your device. 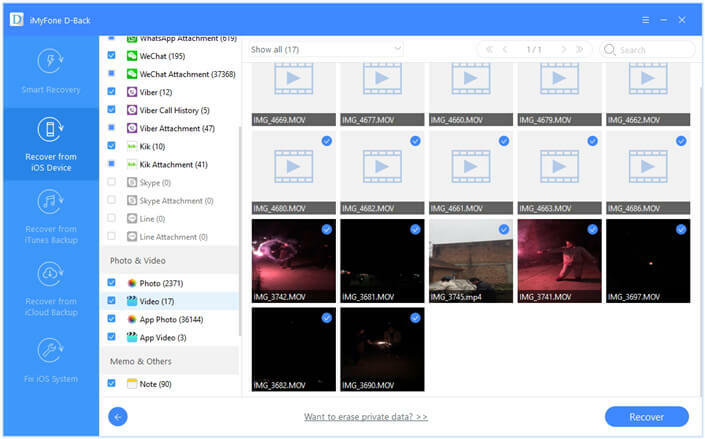 You’re able to recover videos without the need of a backup. Extract and recover videos from iTunes/iCloud backups without restoring. You can view all the content of iTunes or iCloud backups so you can select which backup you want. Step 1.Download and install iMyFone D-Back on your computer and open it. 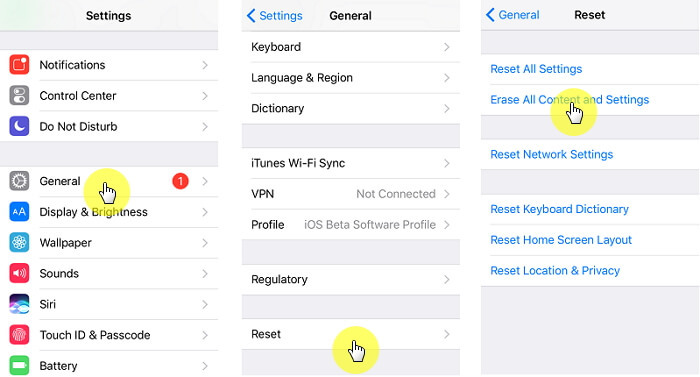 Then, begin the process by pressing “Recover from iOS Device”. Press “Start” to proceed to the next step. Step 2.Now, connect the device to your computer and you will find that the program will start to detect the iPhone. Once the program is detected, you can simply press “Next”. Step 3.You can now define the type of the file you want to have back. In this case, you should select “Videos” and hit “Scan” button. D-Back will start to scan the data from your device. Step 4.You can now see a list of recoverable video files on screen. If you need to recover the deleted files select “Show only the deleted files” option. After selecting the files, press “Recover”. When prompted, define a location to save the recovered files. Step 1. Begin the process by clicking on “Start” button located under “Recover from iTunes Backup”. Step 2. Then, pick the correct iTunes backup in which you have the videos and click “Next” to proceed. Step 3. Now, you will have to select the type of the files (Videos) to retrieve and click on “Scan” button. Step 4. Now, you can see a list of files that can be recovered. Select the files you need and click on the option “Recover”. Define a location to save your files and wait for the process to be completed. Step 1. 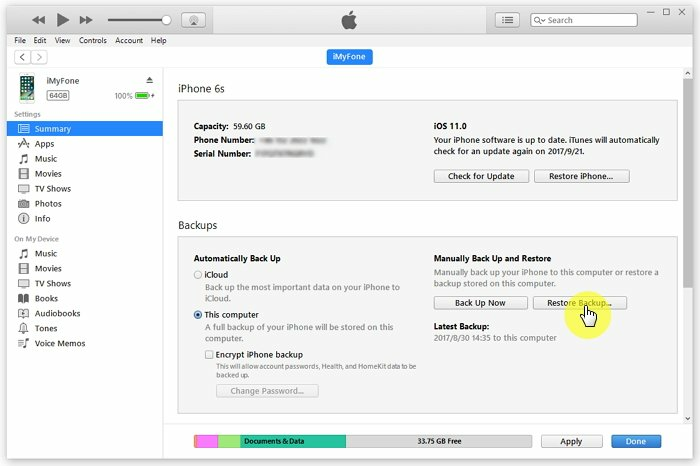 Press “Start” button which is found under “Recover from iCloud Backup”. Step 2. Provide the credentials of your iCloud account to proceed. Step 3. 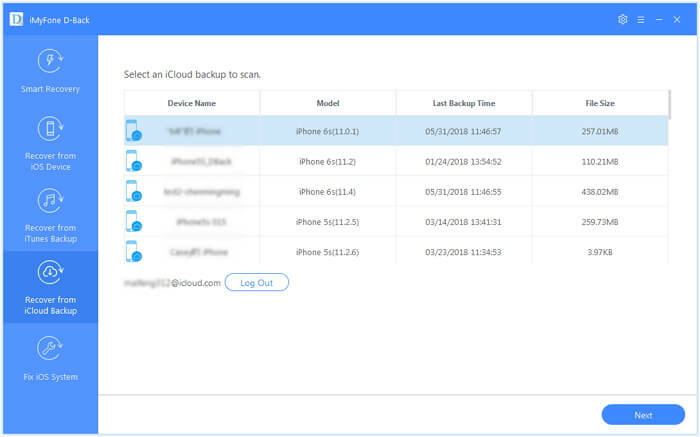 Now, you can find all the iCloud backups related to your account. Select one you intend to recover and click on “Next”. Step 4. Define the type of the file you need to recover and press “Scan”. Step 5. You will be able to see the search results on screen. You can preview these files and click “Recover”. As the final step, you should define a location to save the recovered data. Step 1. Go to iTunes on your computer and connect the device into the same computer. Step 2. If prompted, provide the device password or proceed to trust the computer. Step 3. When appears, you can select the device. Step 4. Now, select Restore Backup in iTunes and pick the most relevant backup. Step 5. Let the device and computer be stay connected and wait for the process to be completed. Step 1. 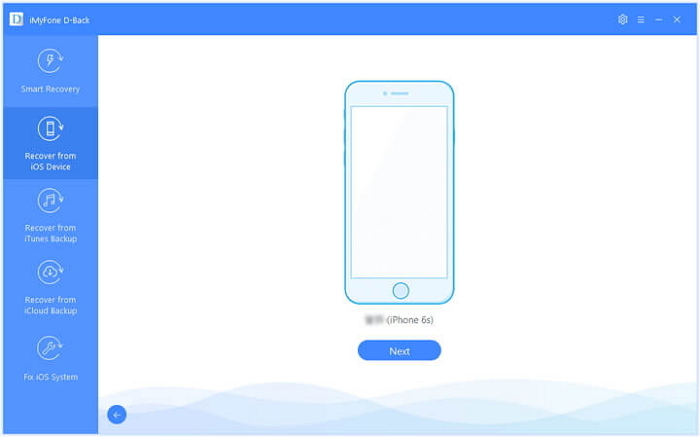 Turn on the device and erase all the contents before begin the process. Step 2. Go to Apps & Data and tap Restore from iCloud Backup. Step 3. Choose the most relevant backup and see the transfer starts. Step 4. When prompted, provide the credentials and sign in to your iCloud account. Step 5. Stay connected until the backup gets restored on your device. If you have ever wanted to find a free iPhone video recovery tool, you can try the methods we have mentioned in this article. You can try both official way and iMyFone D-Back tool to see which one serves your purpose better. Also, please be kind enough to leave a feedback about the experience you have with these tools.